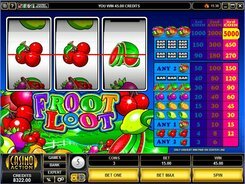 Fruit Loot is a classical 3-reel 1-line slot featuring a plethora of juicy fruits and berries. 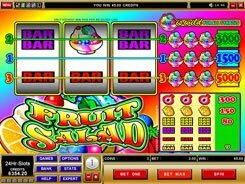 The symbols of the emulator include a watermelon, orange, cherry, plum, lemon and a traditional BAR plate, from which the slot forms winning combinations. 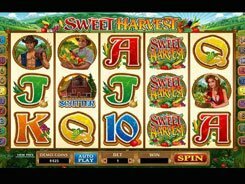 Before spinning the reels bet up to three coins per line totaling $15 at its highest. 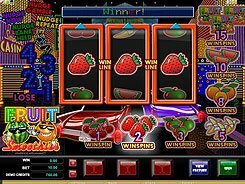 The Fruit Basket is the most valuable icon paying out 1000 to 5000 coins for three of a kind. 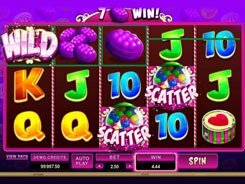 The award depends on how many coins you have wagered. The Triple Bar symbol yields 150–450 coins. 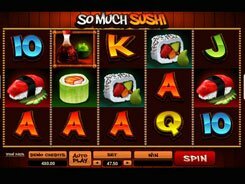 So be sure to bet the maximum stake per line to be awarded top fixed jackpots.